There's nothing wrong with bought not built. The 0-60 mph time of a car is quite important. Granted, when those times are measured by automakers they’re generally put down in ideal conditions using a professional driver. However, it gives a solid indication of the off-the-line performance of a car and its ability to get up to speed in traffic for normal people, and what enthusiasts can expect when they want to get their foot in it. Realistically, most daily drivers aren’t going to be pulling the quarter-mile on their commute. But that measurement starts to matter in serious performance cars that are selling based on the big numbers or, in rare cases, production cars built with the quarter-mile in mind. These are the cream of the crop since the turn of the century, and that only rules out the Ford Fairlane Thunderbolt, which had a 100 model run in 1964 and could take the quarter mile in 10.365 sec at 132.65 mph. The Aventador is pure Lamborghini bedroom poster and desktop wallpaper fodder. Lamborghini didn’t just stop there because, well, this is Lamborghini we’re talking about. The 6.5-liter V12 develops 730 horsepower and 509 lb-ft of torque and lays it down through a 7-speed automatic transmission to make that 10.4 second time. The SV and SVJ may have all the extra sauce for going around corners, but they still come in at the same time in a straight line. 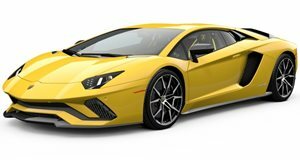 Lamborghini’s Performante is a little toned down in spiky looks than its bigger Aventador brother, but its blistering quarter-mile time is down to being lighter, which makes up for being down on power. 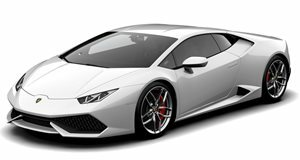 The Huracan Performante makes 640 horsepower and 442 lb-ft of torque through the 7-speed double clutch transmission but runs the quarter mile in 10.2 seconds. A quad-turbocharged W16 engine is going to be producing a lot of power, even if it isn’t assembled by Bugatti with the aim of powering the fastest production car on the planet. In 2006 the Veyron's 987 horsepower and 922 lb-ft of torque pushed it through the quarter mile in 10.1 seconds at 142 mph, but it was far from done there. 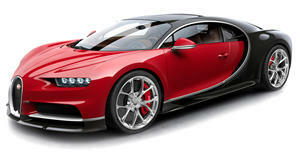 The Veyron could keep going long after that and pegged out at a top speed of 267.856 mph. 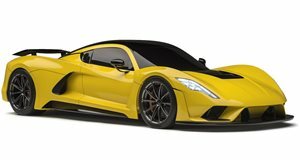 The Venom didn’t qualify for the fastest production car record as only 13 were produced instead of the required 30 production models. However, its twin-turbocharged 7.0-Liter Chevy V8 and 1,244 horsepower with an earth-shifting 1,155 lb-ft of torque hammered the quarter mile in under 10 seconds and was measured at 265.57 mph. Later, Hennessey claimed the car for that run was down around 300 horsepower due to one of the three fuel pumps having an issue. The most surprising thing about the Venom GT’s quarter mile is that the car has a manual transmission. 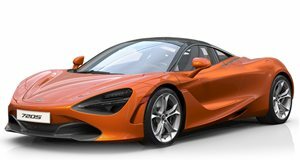 Mclaren’s masterpiece shows that you don’t need over a 1,000 horsepower or torque to lay down a sub-10-second quarter mile. The 4.0-liter twin turbo V8 pumps out 710 horsepower and 568 lb-ft of torque. Its fast quarter-mile comes from its power-to-weight ratio bred for the track. 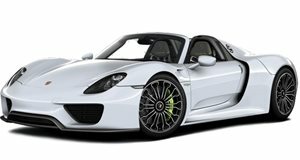 The term plug-in hybrid doesn’t mean economy for Porsche, and there’s certainly no Atkinson-cycle 4-cylinder engine in the mix. Instead, there’s a flat crank 4.6-liter V8 that can rev out to 9,150 rpm and lays down 608 horsepower, which when mixed with the hybrid system generates 887 horsepower and 944 lb-ft of torque through the PDK transmission. 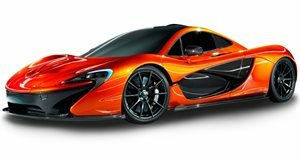 McLaren’s first offering to the hybrid hypercar genre comes with a smaller displacement engine than its competition. The 3.8-liter twin-turbocharged V8 engine delivers 727 horsepower and 531 ft-lb of torque though and, with the hybrid assist, that ramps up to 903 horsepower and 723 lb-ft of torque. Amazingly, each of the "Holy Trinity” of the first generation of hybrid hypercars all come in with a 9.8-second quarter-mile time. However, their max speed in the sprint varies, and the LaFerrari registers the highest mph through the run. 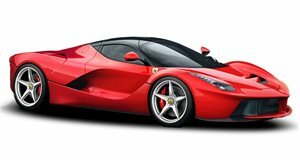 The 6.3-liter V12 makes 789 horsepower and 516 lb-ft of torque, but the mild hybrid system supplements that and brings the LaFerrari up to a combined 950 horsepower with 664 lb-ft of torque. The Super Sport was the upgraded version of the Veyron 16.4 and instantly stole the crown of fastest production car as it was introduced. The Veyron Super Sport makes an insane 1,184 horsepower and 1,106 lb-ft of torque and smashed through the 9.7 quarter mile to go on to 267.856 mph flat out. There was some touch-and-go with the Guinness Book of World Records when the time was recorded as the speed limiter was deactivated and considered, briefly, as a modification. After a review though, Guinness upheld the record. It’s fitting that the car designed for the quarter mile is the fastest on the drag strip. However, to get that time you need more than perfect conditions and a sharp driver. 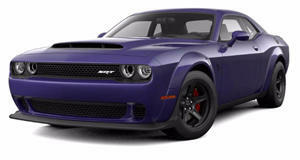 You’ll need the Demon Crate option that cost $1 with the car and contains things like a swappable engine control unit (ECU), a high-octane racing fuel switch bank, and a low-restriction air filter. You’ll also need to fitt he much thinner front runner wheels and tires. When all that is added, or subtracted, then you have a 6.2-liter V8 engine with a 2.7-liter supercharger bolted on to develop 840 horsepower with 100 octane fuel and 770 lb-ft of torque. It’s still on the heavier side due to its size, but the power-to-weight ratio of 435 horsepower per ton and a 0-60 mph time of 2.3 seconds helps it leave the lights and make the quarter-mile in 9.65 seconds.